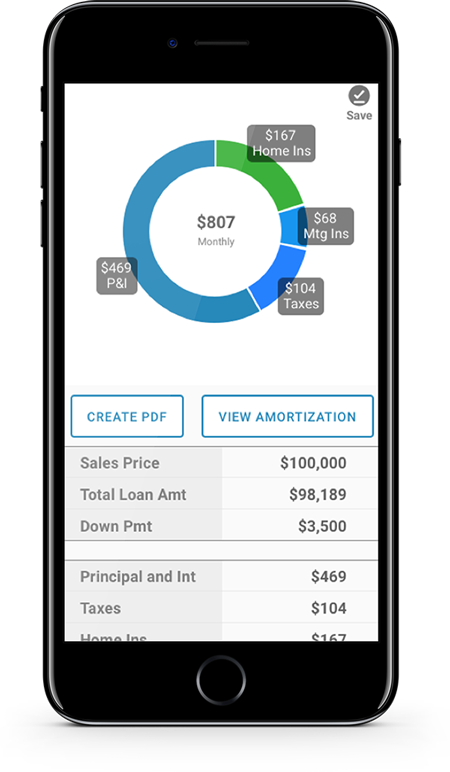 Simplify the mortgage process by installing our Mortgage Calculator app. With our app, you can calculate FULL monthly payments as well as send important documents and stay up to date, to ensure the simplest mortgage process available. To download the Mortgage Calculator App, click on either of the buttons below and enter your phone number. The download link for the app will be sent your smart phone (Android and Apple devices only).